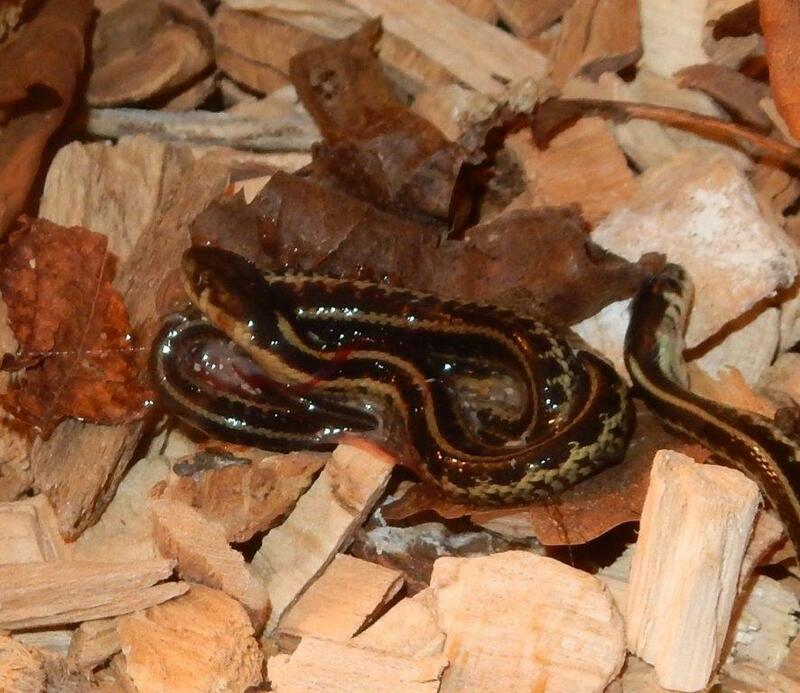 Today, April 2nd, at 10 AM the first baby garter snakes of 2018 were born. I was lucky enough to witness the event. 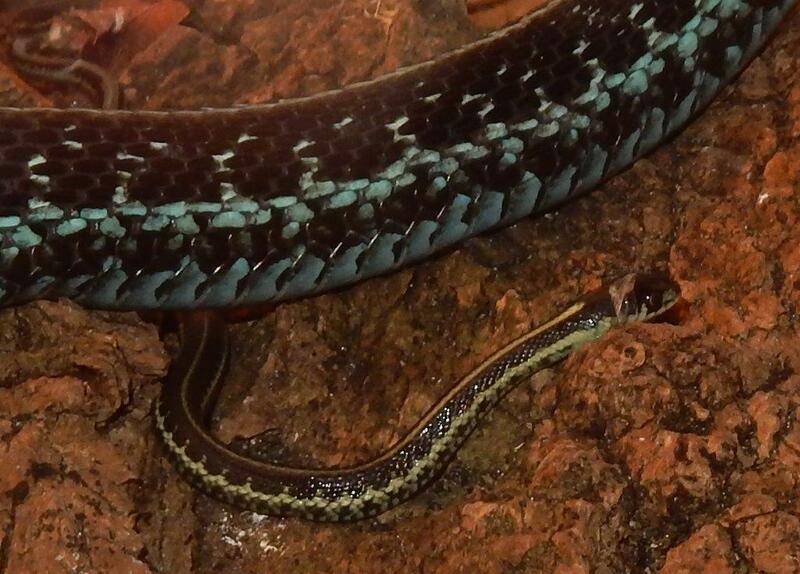 As you can see on the pictures, the babies of Thamnophis sirtalis pickeringii (Puget Sound Garter Snake) are always born less blue than their parents, which are very blue. 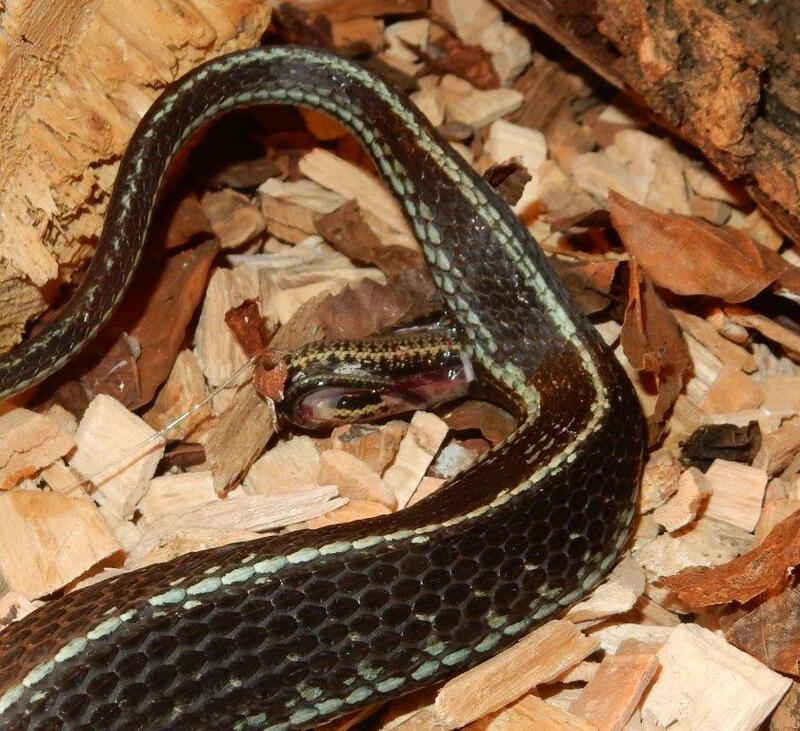 On one of the pictures you can see one of the babies shedding its skin for the first time. 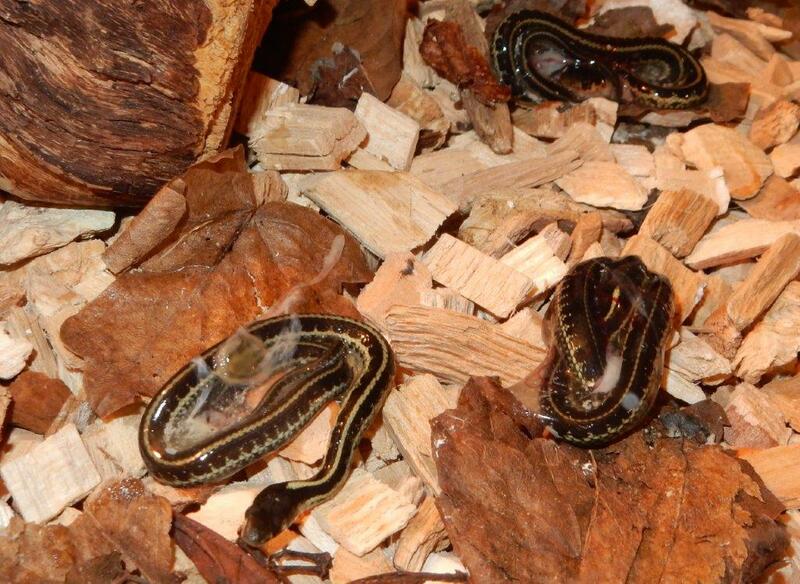 They will shed their skins usually directly after being born.